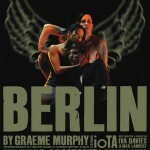 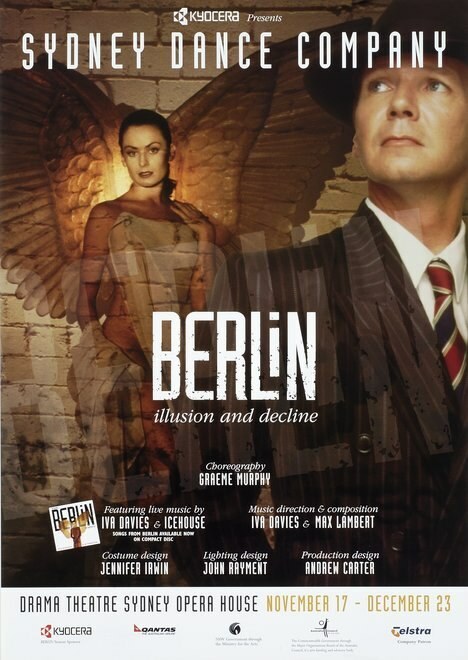 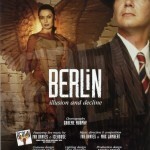 Graeme Murphy’s BERLIN is a n exploration using the city of Berlin as a symbol of decline and resurrection. 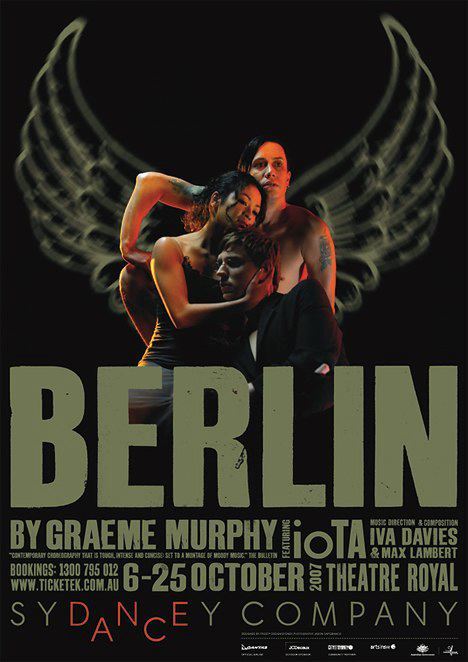 Seductively theatrical, BERLIN explores the heart and mind of what it is to be human. 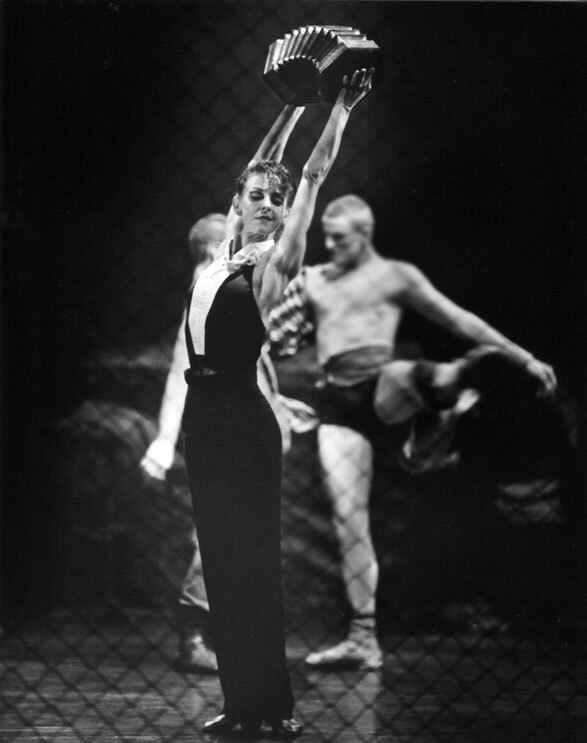 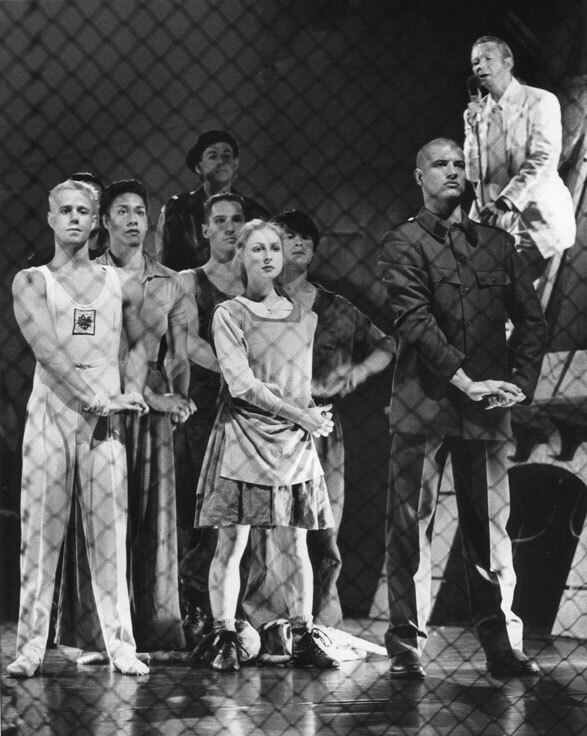 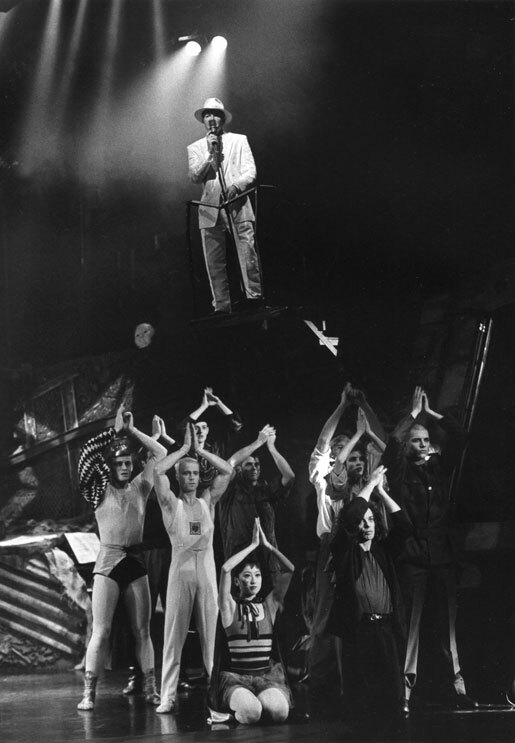 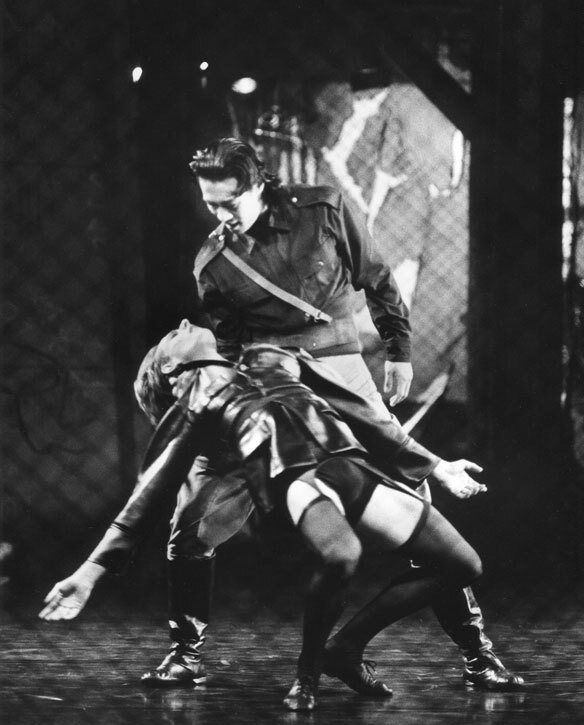 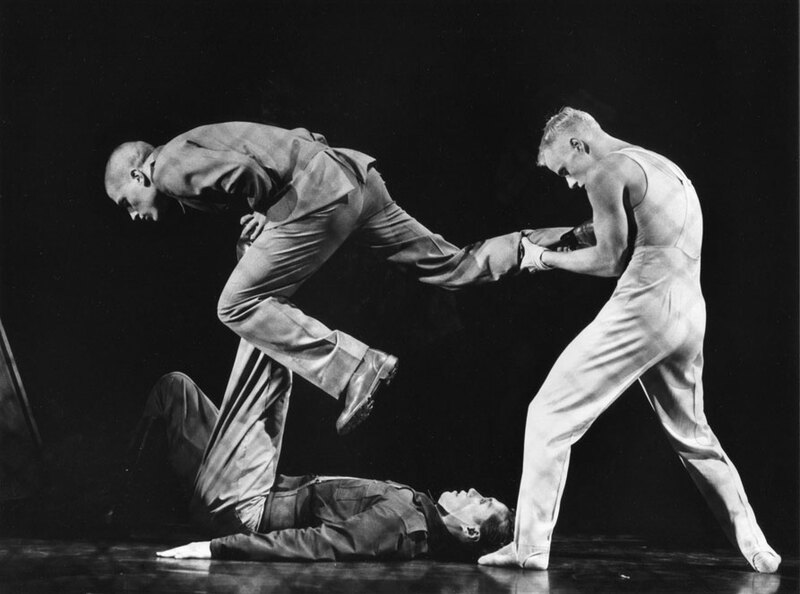 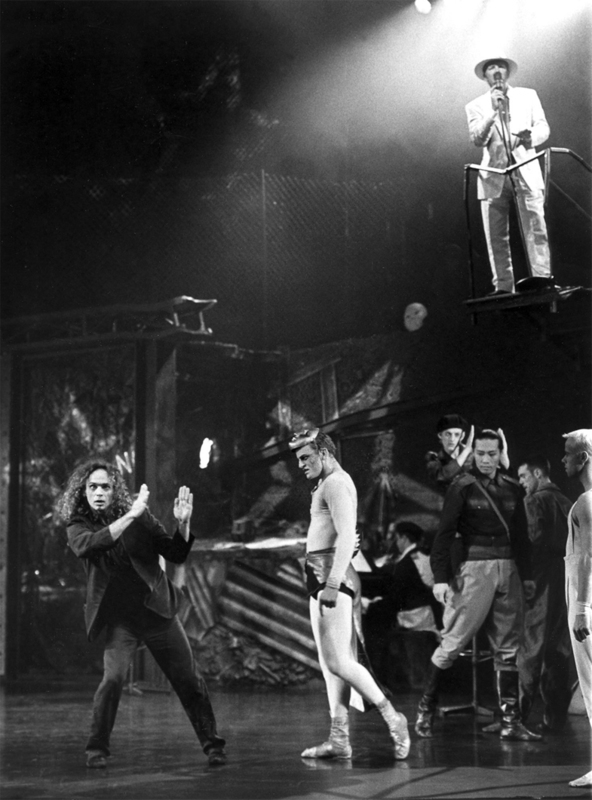 A hauntingly powerful and beautiful piece of dance that was first created in 1995 with music by Iva Davies and Icehouse, then re-staged in 2007 with iOTA as the singer/hero (as pictured on the left with dancers).